Most people think of LED lighting as limited to the standard diode shapes found in the early LED technologies, but the reality is that LED has come a long way since it was first introduced. Now LED lights can be shaped and designed in a wealth of unique ways, and feature many types of color tones and appearances. For example, chandelier-type LED bulbs make for an excellent replacement for your traditional chandelier bulbs, and are also excellent options for decorative and accent lighting. You don't have to buy incandescent light bulbs in order to get those classic, warm lighting tones; we have the right LED lights for the task. 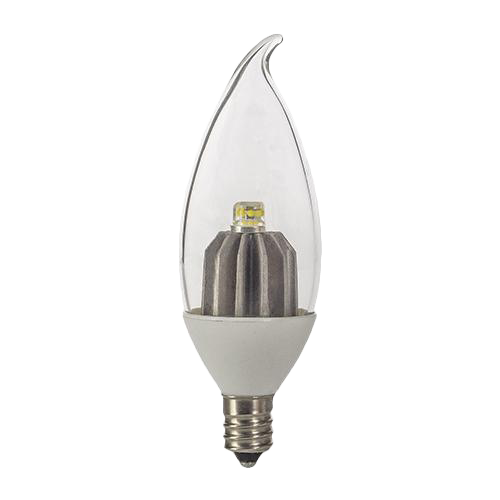 Atlanta Light Bulbs is your go-to resource for a wide selection of LED lighting technologies. 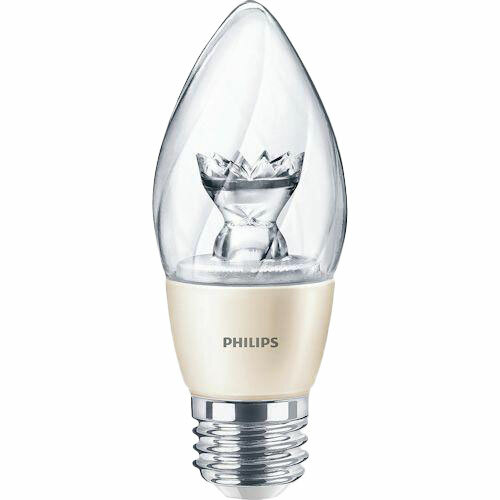 We carry a variety of chandelier type LED light bulbs from trusted brand names such as Philips, Feit, Halco, and Bulbrite. Our LED bulbs boast rated lifespans of anywhere from 15,000 to 35,000 hours, and you can take your pick of bulb styles, equivalent wattages, Lumens ratings, and color temperatures. Our LED lights come in both dimmable and non-dimmable iterations, so you can find the lighting equipment that is right for your project. For those seeking options outside of LED lighting, we carry those too. For example, we have all of the incandescent lighting options you need such as traditional incandescent light bulb styles, miniature incandescent bulbs, incandescent flood lights, colored incandescent bulbs, and more. We also carry a wide variety of halogen lights, krypton and xenon lights, CFL light bulbs, fluorescent lights, and many other options. Our sizable inventory and our comprehensive understanding of lighting solutions allows us to serve many types of clients including business owners, electricians, lighting contractors, homeowners, and others. We have been in the lighting business since 1981, and we've seen consistent growth due to our commitment to quality lighting solutions and our comprehensive inventory. Whether you are looking to buy incandescent light bulbs, halogen lamps, induction lights, CFL bulbs, or LED chandelier-style light bulbs, we can help you find the specific light bulb that is uniquely suited to your needs. Our experienced lighting experts understand energy requirements, installation, financing, color tones, and brightness requirements. We also have a deep understanding of the unique lighting specifications of industrial, retail, office, and exterior environments. There are no lighting projects that are too specialized for our expertise, and we have yet to experience a lighting challenge without a solution. We make it easy for our customers to buy incandescent light bulbs, CFLs, LED light bulbs, and other types of lighting solutions. Our experts can help you navigate our huge inventory of lighting products, and you're welcome to call us at 1-888-988-2852 with any questions you might have. Browse our inventory and shop for your chandelier-style LED light bulbs today!